1. C. S. Lewis Loved Her Work. Listen, would you ask C.S. Lewis, the veteran of WWI for his man card because he loved Austen? I didn’t think so. Do you think you know great literature from bad literature better than he? 2. She Was A Great Writer. Some say the greatest in the English language. Most of you guys couldn’t write your way out of a wet paper bag. But Austen writes sentences that hang in the air like stars and hit your ears like echoes of all the truth you know but had forgotten. No one writes sentences like her. 3. She Is Funny. There are some incredibly funny characters and scenes throughout her works. Mr Collins is a prime example in Pride and Prejudice. But they are never funny like the easy picking of jokes issuing from the bedroom and the bathroom. They are funny because of they have the weight of truth. 4. She Knows Evil. Most of us need extreme obvious forms of evil to move us. But Jane Austen knew more than us in all our supposed wisdom of the world. She gave us the character of Crawford. You might need Hannibal Lecter. She gave us the subtle evil of one who would devour the heart of the innocent and make us all complicit. 5. Pictures of Kindness. When Darcy shows up unexpected at Pemberly and shows nothing but unexpected kindness to Lizzy and her Aunt and Uncle, I am moved every single time. Kindness is not hip. We defer so we can change the world. 6. Pictures of Manliness. Speaking of Darcy there is a reason his very name makes women swoon. And Knightly, the hero of Emma. Here are just two examples of steadfastness, kindness, humility, and virtue. Flawed? Sure. But worthy of our attention. 7. Contrition. Emma Woodhouse is one of my favorite characters. Her contrition and recognition of fault is a rare ideal in a world full of the confident and self-assured. I was so struck by her admissions of failure and the beauty of it, I named our first child, Emma, after her. 8. Seeing Things As They Really Are. Sense and Sensibility is a profound book. In my work as a youth pastor I have worked with hundreds of teenage girls. I have never known one single Elinor among them. Many of them are dearly loved still but every one a Marianne, with emotions at the helm of every moment. Austen saw the “Sensibility” movement for what it was. We have yet to see it as a culture mired in it. 9. Steadfast Love. The steadfast affection between Captain Wentworth and Ann in Persuasion is exceptional. We could learn a thing or two. We give up easily. We feign affection but as soon as inconveniences such as time or space get in the way, we move on to greener pastures. Or at least the blooming fields before us. We give up. We get bored. We divorce at will. 10. Just Love Stories? Some of you will dismiss her novels as mere love stories with a wave of the hand. Men, love stories are God’s idea. The first story we have is one of love between a man and a woman. If you don’t like love stories, you are nothing more than a fool. Ladies, if you have the choice, stay away from such. Real love between a man and woman may not always be exciting. But it is always worth a story. Theologians and pastors are quick to point to the gospel in “seed” form in the Garden. 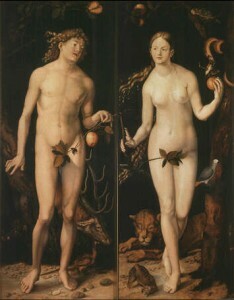 God replaces the fig leaves Adam and Eve were wearing and supplied them with clothing. I’m not all that sure our first parents were all that in tune to all the gospel implications of this act as we are. Don’t get me wrong, it was good news all right. Animal rights folks not withstanding, everyone knows leather is going to be more comfortable than fig leaves. But there are two things they had to have seen . First, something had to die for their shame to be covered. They knew something was wrong and they tried to deal with it themselves. But it was insufficient. 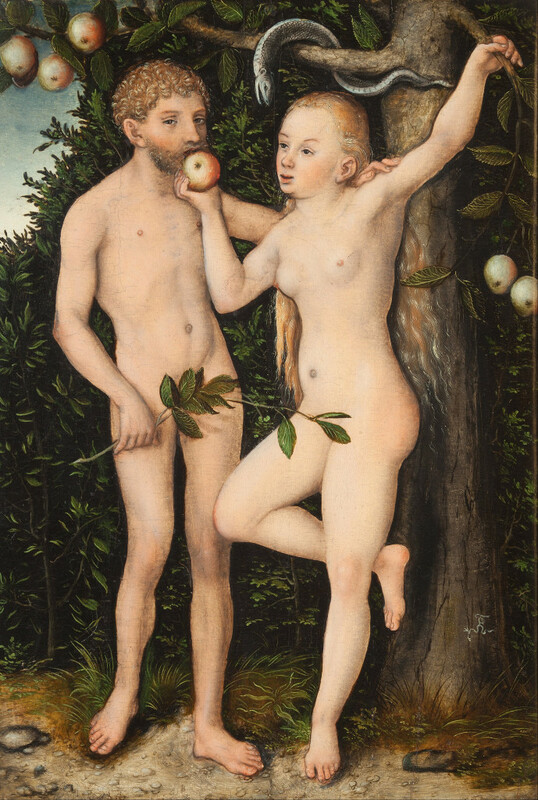 So God killed something and gave them the skins to cover up their nakedness. This is the first death in the Bible. I’m sure Adam and Eve noticed something died because of what they did. Second, skin was used to cover skin. The shame manifested itself in the exposure of their own skin and being ashamed of it. The remedy given by God – the offended party, by the way – is more skin. The skin of a dead animal (Lion? Lamb?) was needed to cover their shame. Animals don’t worry about covering their nakedness. They literally have no shame. Skin over skin. They had to have noticed this. Most pastors can’t see these things at some point. Not sure why. Maybe for the same reason everyone else can’t see it. But we are pastors and we should see it. We trade in this info daily. And maybe because it’s so much a commodity without being a security, we miss it’s worth for ourselves. We become like investment experts who see the worth of a stock, tell others to buy high but pass on it ourselves. I didn’t resign from the ministry because it had become a fig leaf. I’m not sure any pastor does. But the net effect is the same. 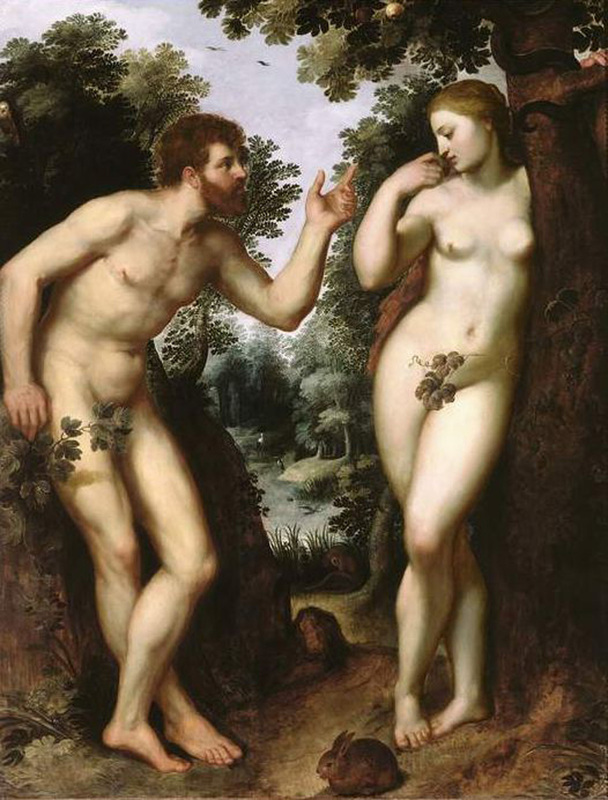 When the fig leaf is pulled away, shame creeps up from under your skin and reddens your face. I’ve been asked where that fig leaf has gone for about two weeks now. And I instinctively feel the need to justify myself – this woman you gave me made me eat. Just saying something simple without any details feels like a death. And I’m beginning to think maybe it’s supposed to. I’ll find another fig leaf somewhere. Maybe it will be excellence in banking. Being able to understand all the little details and addendums could be it. Maybe it will be family. Maybe it will be money (that would be nice.) Maybe it will be my resignation from the pastorate…not being a pastor. Being a former one. Any one or collection of them will do. When it happens, my hope is that I will have eyes to see my own foolish desire to cover my shame. And when I’m strutting around in it like I’m something, I wanna have ears to hear when the preacher points and says – he’s only wearing a fig leaf! 1. Yesterday was either humbling or humiliating. Either one works. 2. I’ve had bacon everyday this week so far with no sign of letting up. 3. I don’t think anyone *really* believes you can stimulate an economy by raising taxes on the rich. But jealousy is rarely logical. 4. I finished Brennan Manning’s memoir but I am not sure it is finished with me. 7. I think what happens in corporate worship on Sunday is more important for the life and health of the church than we moderns can possibly know. 8. Billie Holiday’s last album. 9. As an adult I’ve never been a big fan of the beach. But ever since we went as a family this past summer, I can feel the pull to go back as soon as we can afford it. 10. I’m pretty sure Antiques Roadshow is the best only thing on TV. I have a theory. Or two. My other theory is one I’ve been working out for a while now. A lot of you won’t buy it. That’s alright, I ain’t selling anyhow. Here it is – Most pastors preach out of this reality. Most pastors, because they have justified themselves before God based on their ministry as a pastor, preach a message that betrays this almost every week. And not just in legalism. No, it’s more subtle. I think the reason pastors preach about doing work that is ministry (evangelism, missions. etc.) to plumbers and accountants, homemakers and doctors is because well, this is how they justify themselves. It’s all they got because it’s all they got. Let’s face it, a sermon helping work-a-day folks work out how God is glorified in their vocation is the bosom buddy of unicorns and yetis. Whereas, sermons pushing a nurse to question if she is doing something sufficiently spiritual are legion. And why not? The pastor himself seeks to justify his own self through ministry. Of course he is going to preach out of that belief, even if he can’t see it. It can get so screwed up you can seek to justify yourself before God by how well you preached the gospel of justification, wretched men that we are. I speak of what I know. One finger is pointing at others but 4 have drawn a bead on me. With confidence I can say I’ve sported last year’s fig leaf fashions. And then asked others to try it on. And then I’d feel better about my own threads. I’ll have to go back to my graduate studies for this one. My pastor was on the the Board of Covenant Theological Seminary, where some friends and I were studying. When he would come up from Birmingham for Board meetings, he would take us out for dinner. This was always a highlight. You know, free food and all. One night we were all sitting around talking and he asked how our studies were going. I can remember where I was sitting in that Longhorn Steakhouse when I told him I was having trouble with how the content was not only continually challenging me on an academic level (which I expected) but it was leveling me emotionally (which I had not expected). My studies had become a huge part of my sanctification. And not just in how I did them but in the very content. I can’t remember all he told me but I remember walking away with an understanding of my need to embrace it and see it all for my good. I needed to roll with it knowing I’m not justified by my grasp of the content or even my growth in it. Fast forward. Last November — for the first time since 1997 when I started pursuing ministry — I was seriously thinking about not being a pastor. I had looked jealously at the work of the Fed-Ex driver previously but no serious entertainment of leaving the pastorate had been done. But this was different. I was worried about my own emotional health and my family’s. The work was demanding a toll and we were running out of resources to pay the fare. Literally and figuratively. So we started thinking about me resigning from being an associate pastor. But after our pastor resigned a few weeks later, we knew we could not leave. So we waited. And prayed. And hoped. And then about 6 months ago the decision was made. I would resign from being a pastor. There were lots of difficulties to be considered. How would people perceive this? What would I do? What could I do? Will I be happy doing something else? How will this affect the people at church? But all these were pretty easily dealt with compared to one haunting question. How will this affect my relationship with God? When you’re in vocational ministry, no effort is required for you’re performance in ministry to be confused with you’re standing before God. The people you serve starting taking on the significance of the Creator of the Universe. Actually, that’s not true. It’s their perception of us we dress up in gilded shiny yellow and then bow down to. Sure, we are sinful. But we are pastors. 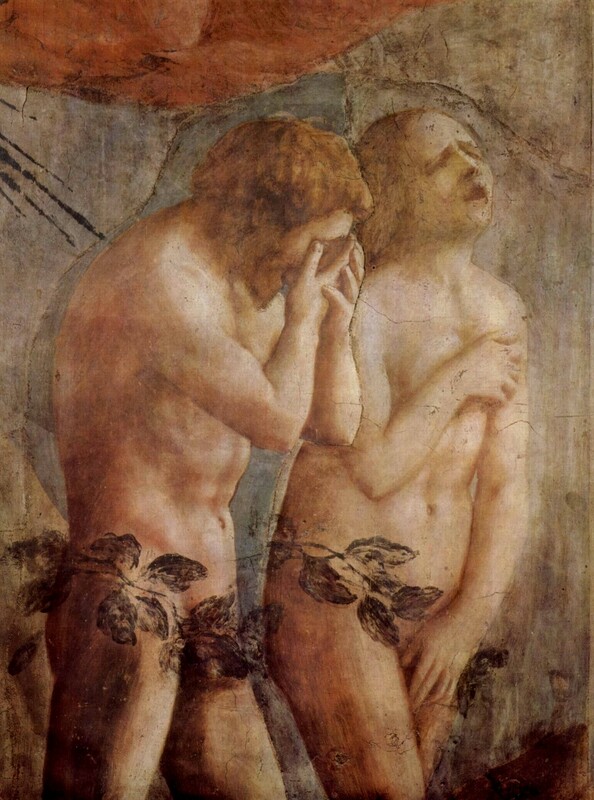 And so we cover the shame of our respectable sins with the fig leaf of pastoral righteousness. I just got one question – What if you are no longer going to be a pastor? Wait. What Am I Gonna Do With This Seminary Degree? A few days ago I got my review copy of Brennan Manning’s memoir. Once again something he wrote has shown up at the right time with all the grace God can muster. Let me explain. I have an M. Div. For those who don’t know, it’s a pretty intense course of study. Greek and Hebrew are the two specters waiting for every student who dares to enter. And those were some of my easier subjects. The hours work out to be similar to the hours of Med School. And while in Med School you lose a lot of sleep. In seminary every class offers conviction, guilt and inadequacy. There are no “light” classes. But like so many others, I got through it, mercifully. But now I’m a banker. Did I waste my time and money? As I read through the memories of Brennan Manning, I see something. Actually, you don’t even have to read the book. Just look at the cover of this memoir of a divorced ex-priest and persistent alcoholic. The title is All Is Grace. He has this crazy idea that his life – so full of difficulty and pain (a ridiculously hateful mother and alcoholic father) is all grace. None of it wasted. Not the bad. Not the pain. Not the loneliness. Not even his own sins are wasted in God’s economy. God is the original recycler and repurposer. He takes it all and magically works it like those people who can find a use for anything and everything. I don’t even understand those people. I just kinda look at them in wonder wishing I could see what they see before they mold what looks like a mess into reality. I can see so little. So I don’t rightly know how he is going to do this. I don’t know how it’s all going to work or how he will use an M. Div. in the life of a banker. Maybe it will show up in this blog. Maybe in more books. Maybe, just maybe it took a seminary training and years of ministry before I could enter the business world with my head on straight…loving God and neighbor in the thick of it. Hmmm, I wonder….regardless, all is grace. And I would not trade my degree from Covenant Theological Seminary for any other.